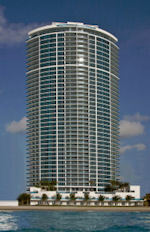 The Trump name has become an icon in the real estate world, synonymous with elegance and quality. Now the Trump brand is being extended to condo hotels. From U.S. vacation destinations like Fort Lauderdale, Chicago, Hawaii and Las Vegas to up-and-coming locales like Dubai, Toronto and Panama City, Trump condo hotels are setting the gold standard for this new class of real estate. 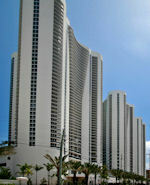 Condo hotels, also known as condotels, are typically large, high-rise developments in prime locations. They look and operate like an upscale hotel, offering five-star amenities and services to their guests, but each suite in the hotel is individually owned. As an owner, you can use your condo hotel suite whenever you want and place it in the hotel rental program whenever you're not there. In return, you'll receive a share of the revenue it generates. When you buy a designer-furnished suite in a Trump condo hotel, you own a piece of the Trump dynasty. 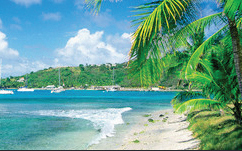 You get a beautiful vacation home in a magnificent location. You have access to five-star amenities like a full-service spa, resort pools and fine-dining restaurants. Best of all, ownership is 100% stress free. The hotel management company takes care of all the details, from maintaining and operating the property, to finding guests to rent your condo hotel unit. 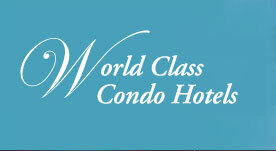 Because condo hotels are prestigious properties located on prime real estate, they typically appreciate over time. For that reason, they are often used to diversify an investment portfolio. Consider the value of the Trump name, and you can see how investing in a Trump condo hotel has extraordinary upside potential. 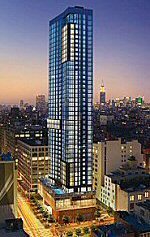 Buying a condo hotel is like purchasing any other type of real estate. All commissions are paid by the seller. Therefore, there is no cost for requesting our information or enlisting our assistance in making a purchase. 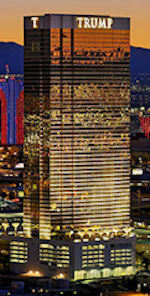 We can provide you with the most detailed, current data available on all Trump condo hotels. You sign no contract with us and are under no obligation to buy. A Trump condo hotel could be the vacation home you've always dreamed of. Contact us today to discuss which Trump is right for you.